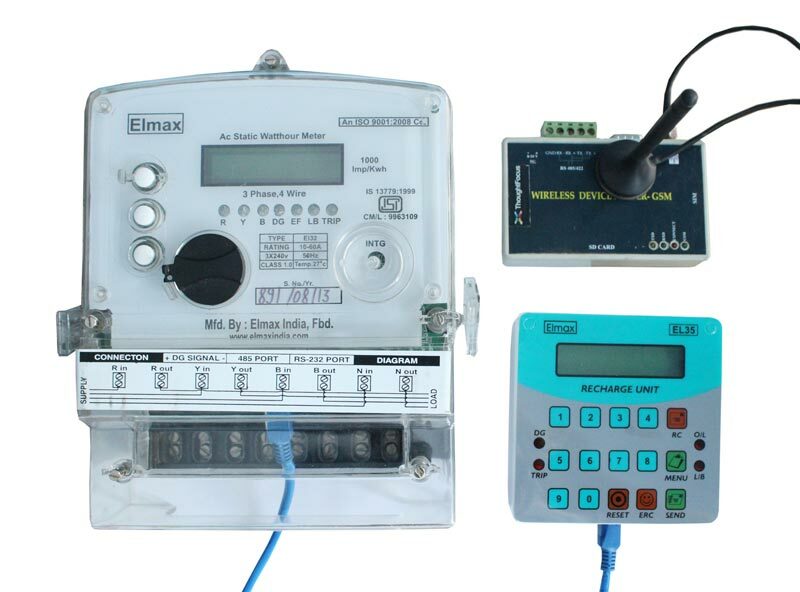 Elmax India Offers Model EL32 Ver 3 as a Prepaid Dual Energy Meter with Centralized Control System on local or Web Server by using LAN/ GPRS based Wireless Technology. It is a Three Phase, LCD based Dual Kwh Meter with Max Demand and Rs 485 Pot for Connecting to PC Through LAN or GPRS modem. The Energy Data from the Meters are transmitted to local server through LAN or it can be transferred to Web Server by using GPRS Technology.